It’s been a month since All Walls Must Fall hit Version 1.0 and CAME OUT of early access, and today we have another update for the game! The main focus has been on bugs and performance, but we also have a few new features to announce! The full release notes are here for all the details, but let’s get into the exciting stuff! First up, the game is now available in Brazilian Portuguese! muuutsch’s latest track Last Minutes is now playing in the clubs, in-game! Have a listen on soundcloud. The soundtrack is also now available on Spotify, itunes and all good streaming sites! 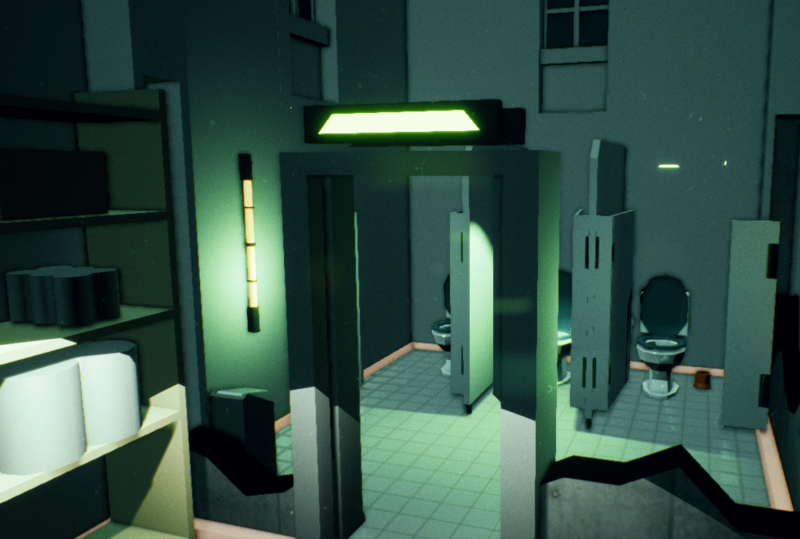 We’ve added bathrooms to the game! How did we manage to go this long without them? We’ve added some character variation to the clubbers, as well as some of the dialogue NPCs! We’ve added some new, better fitting furniture to the labrooms that appear in some clubs, and tweaked their layouts a little! Different enemies now shoot projectiles that match their visual style, to help you work out which projectile came from where. We’ve updated Kai’s weapon effect a bit too - now including muzzle flash! We’ve spent some time making some small balance tweaks, fixing bugs, polishing visuals, and improving performance, in particular in the later missions in larger clubs. The biggest thing here is that the Drop camera should no longer point at walls! Check out the full release notes for all the details. A Tech-Noir Tactics game set in Berlin 2089, where the Cold War never ended. Endlich! German and Russian available now! NEW GAME + mode now available! Update 7: BETA & RELEASE DATE! Alpha 6: NICE & NAUGHTY now available! Alpha 5: DAILY CHALLENGES now available! Update 4: RPG ELEMENTS now available! First Early Access patch released to address your feedback!